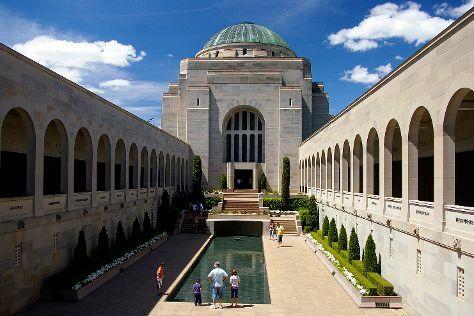 Start off your visit on the 25th (Fri): take an in-depth tour of Australian War Memorial and then stop by Trove Canberra. To see reviews, more things to do, and tourist information, refer to the Canberra online route planner . Brisbane to Canberra is an approximately 4.5-hour flight. You can also do a combination of bus and flight; or drive. Traveling from Brisbane in January, Canberra is a bit cooler at night with lows of 15°C. Wrap up your sightseeing on the 26th (Sat) to allow time to drive to Sydney. 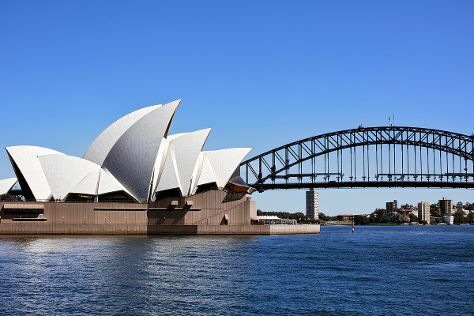 Kick off your visit on the 27th (Sun): don't miss a visit to Sydney Opera House, then hike along The Opera House to the Botanic Gardens Walk, then take in the views from Sydney Harbour Bridge, and finally wander the streets of Darling Harbour. On the next day, admire the masterpieces at Art Gallery of New South Wales, then enjoy the sand and surf at Bondi Beach, then take in nature's colorful creations at Royal Botanic Garden Sydney, and finally take a stroll through The Rocks. To find ratings, traveler tips, maps, and tourist information, go to the Sydney holiday maker website . Traveling by car from Canberra to Sydney takes 3.5 hours. Alternatively, you can fly; or take a bus. Traveling from Canberra in January, plan for somewhat warmer nights in Sydney, with lows around 23°C. Wrap up your sightseeing on the 28th (Mon) early enough to travel back home.